First Fun Facts of 2019!!! During the second wave of the Plague, more women died in childbirth than died of the Black Death. As far back as 40,000 years ago, humans kept track of time using relatively sophisticated knowledge of the stars. The suicide death rate for farmers is more than double that of military veterans. We tracked the employment histories of ~150 Congressional officials most responsible for responding to the ‘08 crash: — 40% of senior staff have since worked for giant financial interests — 30% of lawmakers have as well. 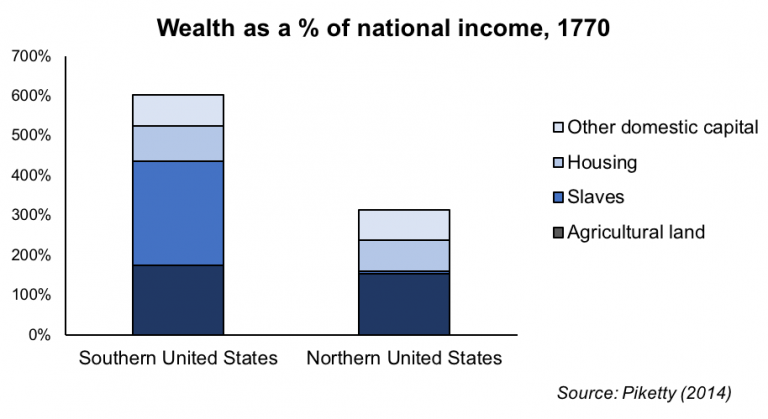 Enslaved people were the largest source of private wealth in the southern United States in 1770. Every currently serving Democratic senator represents roughly 3.65 million people; every Republican roughly 2.51 million. Put another way, the fifty senators from the twenty-five least populous states—twenty-nine of them Republicans—represent just over 16 percent of the American population, and thirty-four Republican senators—enough to block conviction on impeachment charges—represent states with a total of 21 percent of the American population. With gerrymandering and voter suppression enhancing even more the systemic Republican advantage, it is estimated that the Democrats will have to win by 7 to 11 points (a margin only obtainable in rare “wave” elections) in the 2018 elections to achieve even the narrowest of majorities in the House of Representatives. Dante Gabriel Rossetti loved wombats. The US military is now recruiting soldiers to fight in a war that started before they were born. According to a US Embassy cable leaked by Wikileaks, Calabria would be a failed state if it were not part of Italy. The ‘Ndrangheta controls huge segments of its territory and economy, and accounts for at least three percent of Italy’s GDP through drug trafficking, extortion, skimming of public contracts, and usury. One in ten of New York’s public school students is homeless. Every three seconds, someone in the world receives a blood transfusion. Long lost cities in the Amazon were once home to millions of people. Prehistoric humans are likely to have formed mating networks to avoid inbreeding. La Sagrada Familia, on which construction began in 1882, will be granted a building license for the first time in 2018. More than 77% of India’s wealth is concentrated in the hands of just 10% of its population. 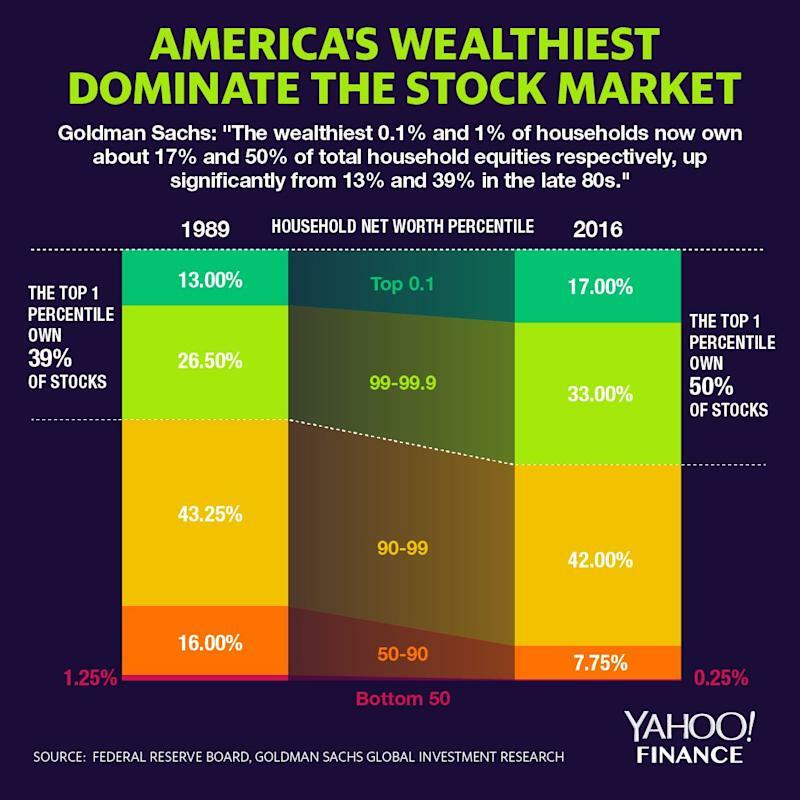 The richest 1% own 50% of stocks held by American households. Eighty years before Jamestown, the first intercontinental settlers on the East Coast of the United States were Africans who had escaped Spanish slavery. Zoroastrian funerals involve a ritual called sagdid (dog-sight). A dog was brought in before the body. If the dog stares steadily at the body, the person is still alive. If it doesn’t look at the body, death is confirmed. This was useful in ensuring that a coma was not being mistaken for death. 12,000 years ago, before the advent of agriculture, Earth had twice as many trees as it does now. Currently, our planet is losing 10 million trees a year. 80% of males born in the Soviet Union in 1923 did not survive World War II. The budget process was established in 1974. Since that time only 4 budgets have been established before the start of the fiscal year. That is a 90% failure rate. The data economy didn’t begin with Google or Facebook in the 2000s, but with electronic information systems called relational databases, first conceived of in 1969. The streets of Boston carry an average of four gas leaks a mile. Many doctors have difficulty accessing the health records of patients treated previously at another facility; fewer than half of hospitals integrate electronic patient data from outside their system. Despite giving away hundreds of millions of dollars to charity, the Microsoft co-founder Paul Allen was worth $20 billion when he died, 48 percent more than when he signed the Giving Pledge in 2010 and promised to give away at least half his wealth. Mouse urine is a major cause of asthma for poor kids in Baltimore. “A basic human right is at stake, of individual liberty to offer a legal good for sale and allow normal operation of the market to determine price,” Mr Dingwall-Fordyce said. That is from the new and useful The New Enclosure: The Appropriation of Public Land in Neoliberal Britain, by Brett Christophers.